Q: When you play live, your sound is more aggressive than on your recordings. Is there a difference in approach when performing? [A:] It is a question of volume. When playing live I can go back to my rock past as a lead guitarist with a band, and I like the physical impact of sound. Also, achieving high volume is difficult at home! But live, I have many hundreds of samples which I can draw on and play in lloopp [a program that allows live playing and manipulation of loops] and can program the software in real-time. It is impossible to reproduce the studio recording when I play live, but it is possible to recognize compositions. In the studio, I use different software to work out sound designs and create happy accidents. 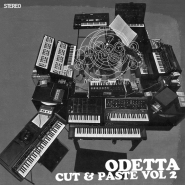 The mellow-afternoon, instrumental r&b and hip-hop of Odetta‘s Cut & Paste Vol 2 has a 1970s vibe that’s half Sesame Street and half bachelor pad. The songs are all forged from aquatic vibraphones, glistening chimes, syncopated drumming, and truly funky electric bass. For all the soulful carousing, there is some real adventure in the mix, notably “Dust to Wax,” which has a loose bass line and plenty of surface noise, and “Vicarius Music,” built around a piano part that refuses to return to the head, spending all minute and a quarter of its length keeping closure at bay — not to mention a couple of entries (“Entree,” “This Is Jazz”) that work in spoken word. Of course, in our mash-up world, one rarely looks back at one point in time at a time. For all the ’70s grooves heard here, Odetta is also supplying a flashback to the early 1990s; tracks like Cut & Paste‘s “Universal” could easily be forgotten Tribe Called Quest gems. Speaking of history, according to Odetta (who’s based in Salt Lake City, Utah), the moniker has little or nothing to do with the famed folk singer of that name: “Codetta/Coda=Odetta: A short passage connecting two sections (in music and literature), but not forming part of either; a short coda” reads a note on his MySpace page, myspace.com/odettatree. The Wii LoopMachine is a homebrew system that uses Nintendo’s casual-gaming innovations for music-making. One thing that’s especially remarkable about the LoopMachine is that the Wii console itself is not the object of the software’s action. You don’t need a Wii to use LoopMachine. 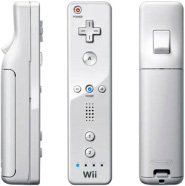 You only need the Wiimote (pictured at left), which costs about one fifth the price of a Wii. To hear the LoopMachine in action, check out the noisy improv of “Illness Is A-Way” (available as an archived MP3: ZIP), in which saw effects, finger-snap percussion, and glottal voicing combine for an experimental outing. More details at archive.org, where the file was made public, and at the LoopMachine’s website, theamazingrolo.net. Now, this is a treat. A musician who goes by Loopy C has taken much of the music posted in the Disquiet.com Downstream series in 2008 — almost 250 tracks, by his count — and forged from them one long megamix. The mix is on his website at loopyc.com; it streams from that page, or just hit the “down arrow” in the audio-playback interface in order to download the full track to your computer as an MP3. He described his mixing process via email: “The remix basically used an iTune playlist that I was ‘clipping’ live via iTunes key commands and scripts (more or less in the order shown). No tune was used for much more than a minute, so I think I made it through all 246 tracks. The tracks were processed via a live rig of assorted processes, recorded into Audio Hijack Pro.” Loopy C also provided that complete iTunes playlist, so you can follow along as a remorseless Julie Andrews slice’n’dice gives way to Wobbly‘s take on a century’s worth of bird-inspired music, as one of Quiet American‘s field recordings morphs into one of Tom Moody‘s synthesis experiments, and as a Carter Burwell Coen-brothers film-score excerpt opens into some raw turntablism (PDF). More info at his website, loopyc.com. For Tilling the Soul, Santa Cruz, California-based musician Phil Garrison, who records as Wavespan, made music from the sounds around him, much of them recorded in the Santa Cruz area, like the household items whose deeply echoed resonances form the horror chamber of “Dark Corridor” (MP3) and the creaky noises and hovering wave forms that are sourced from a bridge on “The Bridge (Part 2)” (MP3). Not that the end results are directly correlative to the source material. Wavespan, true to his name, takes sounds and lays them out wide, splaying them so you can investigate them up close, all sinew and texture. Much of Tilling the Soul is built from piano, though you’d never know it, notably the rousing drones of “Piano in Slow Motion 4” (MP3), which is constructed from Caleb Deupree‘s Cathedral. The album also contains three remixes by Mystified; it’s a nice touch that provides easy access to alternate views of Wavespan’s recordings. Get the full set at darkwinter.com. 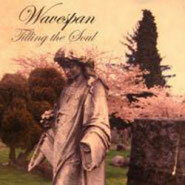 More info on Wavespan at myspace.com/wavespan.